At Vande Hey Brantmeier we offer a wide range of car repairs and service updates including general repairs and maintenance, Buick, Chevrolet, Chrysler, Dodge, Jeep, Ram factory recalls and warranty service on all models. Whether you need an oil change, transmission service, brakes, or even engine repair, Vande Hey Brantmeier has you covered. Use our handy schedule service form to set up an appointment and one of our service advisors will contact you shortly. When you want variety, quality, and excellent customer service from a car dealership, you should turn to Vande Hey Brantmeier. Appleton, Green Bay, Manitowoc, Fond du Lac, and Plymouth drivers rely on our automotive group when they want a vast selection of vehicles, automotive service they can trust, and salespeople who pay attention to their unique driving needs. No matter what you need, Vande Hey Brantmeier has you covered. Come to us to find a wide range of cars for sale, and you’ll certainly find one that matches your lifestyle. With a Buick and Chevrolet store, a Chrysler Dodge Jeep RAM shop, and a dealership dedicated to used cars, there’s no chance you’ll leave without discovering a car that piques your interest—and always at a fair price. We’ll never pressure you into a car-buying situation you’re uncomfortable with, so rest assured that you’re in good hands. Additionally, our finance team will work closely with you to come up with a loan or lease arrangement that fits your budget with monthly payments you can afford. From there, you can always return to us for repairs and maintenance when needed. 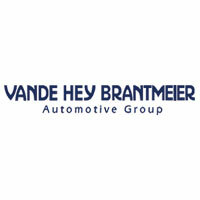 Visit any of the three Vande Hey Brantmeier locations today to find out why our customers keep coming back! Of course, feel free to reach out if you have any questions beforehand! We look forward to working with you.